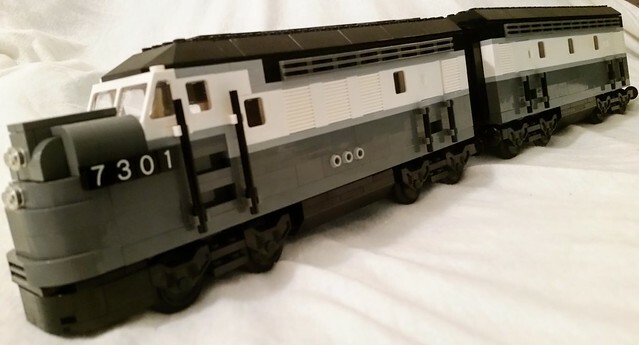 These diesel F7-like locos were inspired by set 10020, (Santa Fe Super Chief) and my dark bluish gray with white / light gray stripes train cars. The cab and booster units feature no interior details because I have no need for such items on my layout.. that and retrofitting all my trains with inside stuff would be quite costly. The name of this train these engine's pull is a play off the Missouri River Runner, a real train that Amtrak runs from Kansas City to St. Louis. The Meramec River runs next to the Wabash Frisco & Pacific, so I switched the name to the Meramec River Runner for my railroad. The nose features two headlights and a split windscreen. 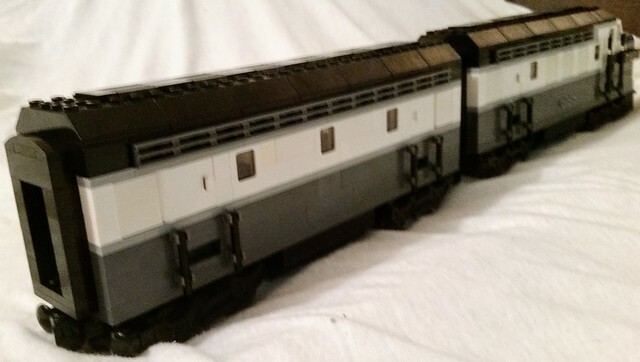 The rear of each of the locos feature doorways to the next engine compartment, and / or the passenger train itself. The observation coach of the Meramec River Runner. This car lacks the letters BRS (standing for Brick Railway Systems) but it is owned by that line. 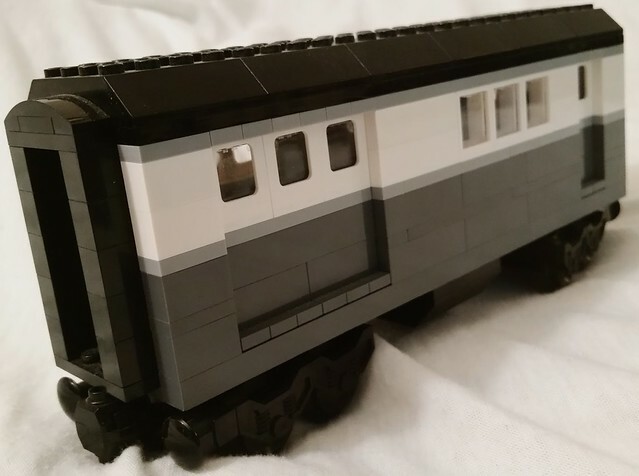 The train cars by themselves are inspired by the Wabash Frisco & Pacific passenger cars, except these are dark gray and not blue. 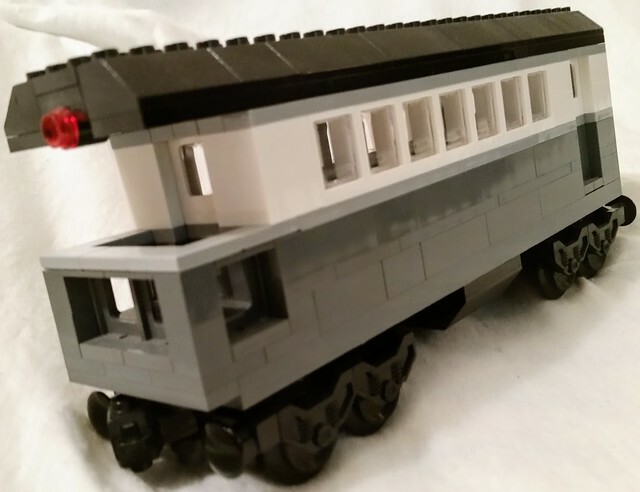 Their is no LDD file for this train, but comments, questions, complaints, and suggestions are always welcome! Interesting they look like trains in black and white photographs. Thanks Dr Spock! They remind me a bit of the New York Central "lightning stripe" scheme.